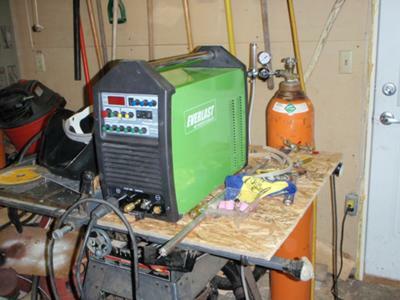 I have a 110A Century MIG welder that I have used to fabricate equipment for my company, myself, friends and neighbors in my garage/shop, but was limited to steel and stainless. 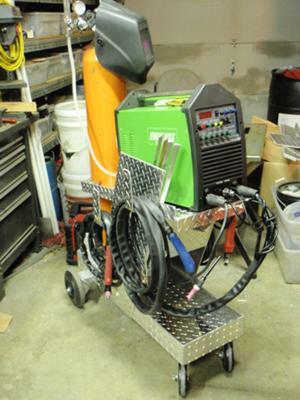 I have a lot of projects in my head using aluminum so I decided to buy a TIG. After looking for used stuff, limited by my 220V 50A single phase power and budget constraints I decided I needed an Inverter unit. 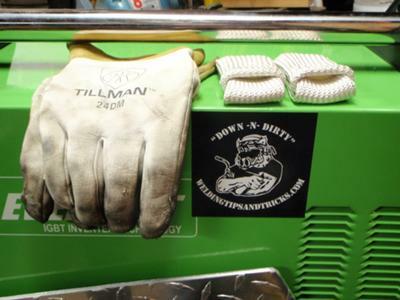 After much research and a lot of input from this site, I purchased an Everlast PowerPro 256 combination TIG, Plasma (bonus! ), Stick. The TIG Carts in my price range all looked like junk, so I decided to design and build my own as a first project. 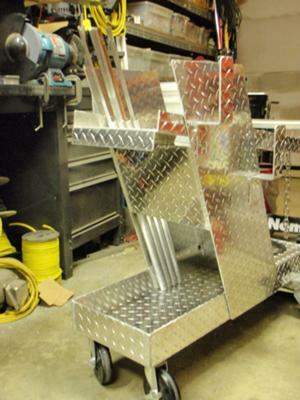 Criteria: lightweight aluminum, low cost, all the bells and whistles, must look damn good! Diamond plate, angle, and u channel from scrapyard = $1 lb. Filler rod tubing - from some kind of extension handles left in garage when I bought the house = free. Finally using some of the "junk" in the garage my wife has been telling me to "get rid of that junk, you haven't used it in 20 years and you never will" = PRICELESS!! This is just the kind of stuff we live for around here.